Police arrested a Waco man Monday who they believe shot a passenger of another vehicle in the leg as he drove in the 1700 block of West Waco Drive on Dec. 23, an arrest affidavit states. 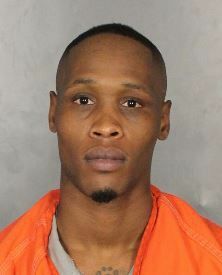 Malik Hakeem Hannible Brooks, 29, was following another vehicle with two people inside and “reached out the driver’s side window and shot once into the rear passenger door” of the victim’s car as the other driver tried to turn onto North 17th Street, according to the affidavit. The passenger was hit by a projectile, and Brooks drove away from the area, according to the affidavit. Police started an investigation the day of the shooting, and witnesses told officers they saw Brooks pull up slowly next to the victim’s car and then speed off, the affidavit states. Brooks was arrested Monday in the 2100 block of Orchard Lane on a warrant charging second-degree felony assault with a deadly weapon. He remained in McLennan County Jail on Wednesday with bond listed at $25,000. Police are investigating the death of a 26-year-old pedestrian who was hit and killed by a car on East Lake Shore Drive late Tuesday night, Waco police Officer Garen Bynum said Wednesday. Officers were called around 8:50 p.m. to the 1100 block of East Lake Shore Drive, where an eastbound 2015 Chevrolet Cruze had hit a man walking on the side of the road, Bynum said. The pedestrian, later identified as Benjamin Arning, of Waco, was walking on the shoulder or near the side of the white line on the shoulder when he was hit by the car. The driver of the Chevrolet stopped after the collision and is cooperating with police, Bynum said. After the collision, a driver stopped and tried to help Arning, who was lying in the roadway, Bynum said. The witness’ car was struck by another oncoming car, police reported. Emergency responders took Arning to Baylor Scott & White Hillcrest Medical Center. He was pronounced dead at the hospital, Bynum said. It was not immediately clear where Arning was headed or where he was coming from, Bynum said. The crash remains under investigation, but preliminary reports stated that criminal charges were unlikely. Six Siberian husky puppies were killed in a fire that started early Monday morning when a heat lamp ignited wood shavings and spread through a detached garage, Waco fire crews said Wednesday. It came less than 24 hours after two adult dogs escaped another fire started by a heat lamp being used to keep them warm, officials said. Firefighters were called to the fire in 900 block of North 31st Street at about 1:30 a.m. Monday, Waco fire Marshal Lt. Riley Kilgo said. Outside the garage, firefighters found a dog pen filled with wood shavings and an old door propped up against a wall to create a shelter for the puppies that were lying underneath the door. A heat lamp mounted to the door to keep the puppies warm ignited the shavings, Kilgo said. Two adult dogs in the pen were able to escape, but the puppies were trapped, he said. Four died on scene, and firefighters used pet oxygen masks to help two. The owner took the two puppies to an emergency veterinary clinic, but the severity of their injuries forced them to be euthanized, Kilgo said. The fire was ruled an accident, and damage is estimated at $30,000, he said. At about 6:45 a.m. Sunday, firefighters had responded to a fire in the 3900 block of James Avenue. The fire started in a shed, and the homeowner told officials a heat lamp was being used in the shed to keep two dogs warm, Kilgo said. Both dogs escaped without serious injury, and crews were able to extinguish the fire quickly, he said. The fire on James Avenue was also ruled accidental, Kilgo said.